We are about to disclose an industry secret here. How you can make your own ad with Katrina Kaif! ingredients : 1 or more Katrina Kaif, any product you choose to advertise, 1 prop. 1) Select any product to advertise. 2) Select any prop of your choice. 4) Ask Katrina to make out with the prop or the product or both. 5) Shoot video, add logo and you are done! Congratulations! 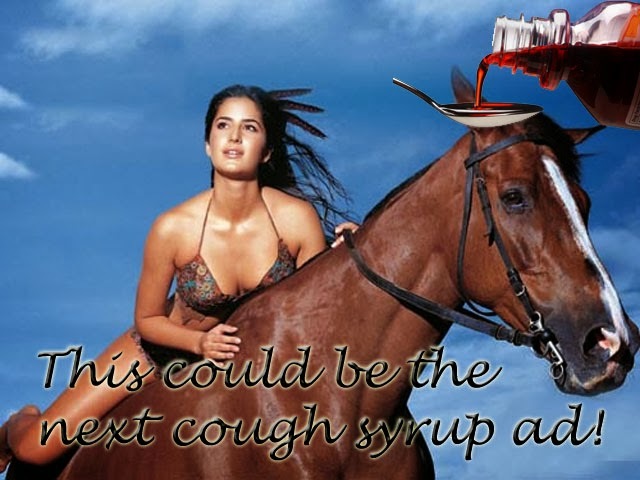 you are now the creator of yet another successful ad starring Katrina.